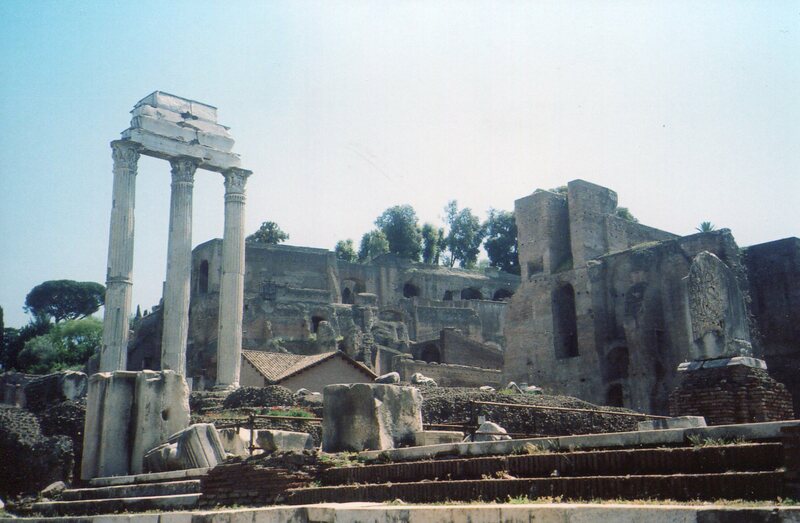 The Roman Forum and Emperor’s Palace (rising behind the 3 columns of the Temple of Castor and Pollux in the photo) still have enough glory to impress us digital age travelers. 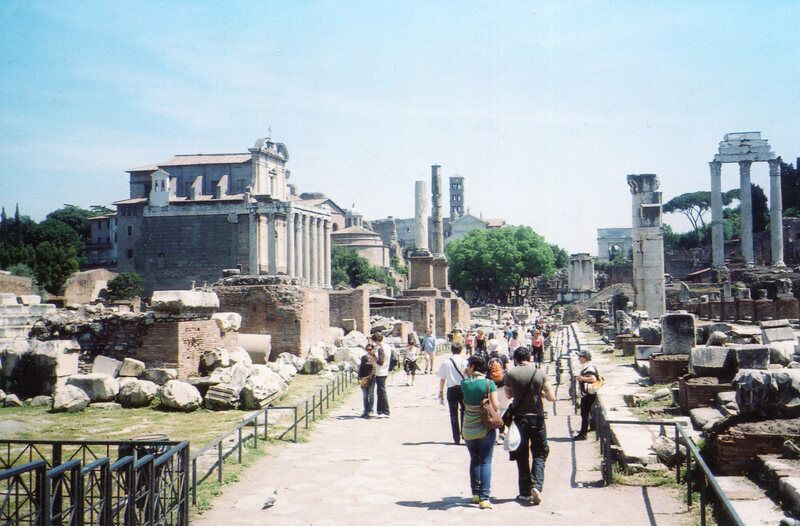 But the buildings around the Forum and the Palatine Hill were humble between Rome’s beginnings in the 8th century BCE and the 1st century BCE, when Julius Caesar began to build big. But even greater glory emerged from the plain brick buildings during Rome’s long developmental period. This glory made the Western tradition different from China’s. Ancient Roman legends say that Rome was ruled by a king in the 6th century BCE, and that men from an elite circle of families advised him. But the last king, Tarquinius Superbus, was so overbearing that he was ousted and the high-ranking families formed a group of senators which governed the growing city. Whether the kingly legend was true or not, the upper class closed ranks. The senate was dominated by clans that could trace their descent back to the families which supposedly advised the monarch. But Ancient Rome was too dynamic to be ruled by one class for long. 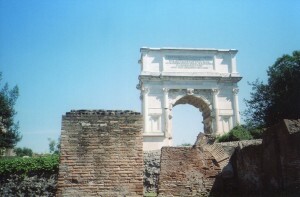 Rome’s cattle market was a key center in the early days, but the Forum grew into the center of civic life. 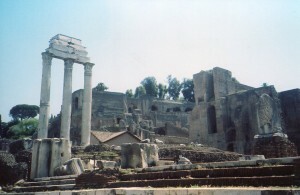 This was one of ancient Rome’s most amazing feats because the Forum was originally a marshy lowland between the city’s hills. Villages clustered on the hills and they gradually became integrated as more people moved in. Over the city’s first generations, Romans cleared the lowlands, built a drainage system and constructed lines of small shops. Ancient Vietnamese also had to clear marshy lands to support themselves–both societies became known for discipline. 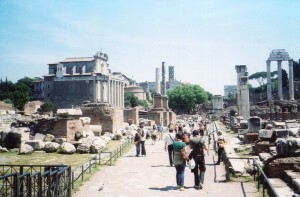 Trade in Rome increased, and the Forum became its main meeting place. So the people who weren’t in the elite circles were still crucial for Rome’s vitality. They also manned the army, and Rome needed to defend itself a lot because it grew near the borders of many different societies, and its location by the Tiber River made it prime real estate. Ancient China’s great dynasties were centered on the royal and ducal palaces. But Rome’s common folks organized their own assemblies. People in this class were called plebeians, and they were proud of being Rome’s backbone. They had their own dignity and they stood up to the elites (called patricians) by threatening to secede from the city. That would have been disastrous, so both classes worked out a series of compromises during the 5th century BCE. 1. The plebs were able to elect their own representatives, called tribunes, to defend them. 2. 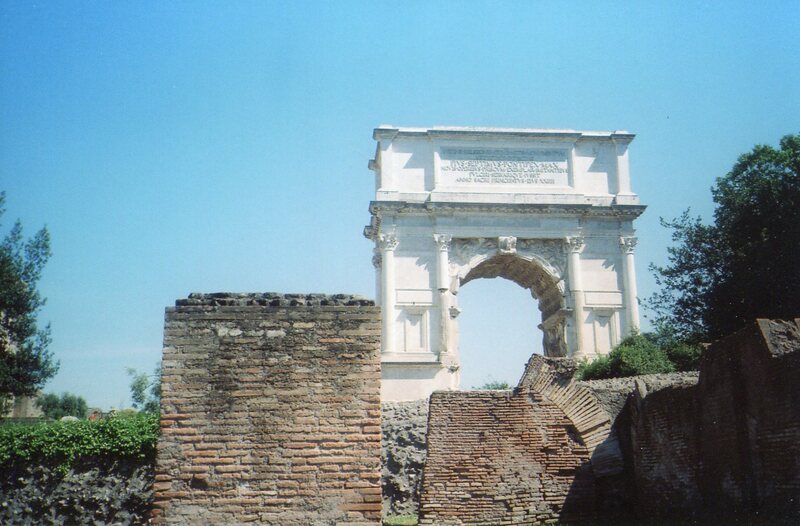 In 450 BCE, Rome’s laws were written on 12 stone tablets. Before then, only patricians could interpret the laws, and they were unwritten. 3. The Assembly of the Plebs kept getting more leverage. It could elect more and more leaders to represent it. Of course Rome later had its share of power-loving dudes who ran the whole show, but guys like Julius Caesar and Sulla grabbed the throne after many centuries of negotians between different classes of people, and these earlier people made Rome grow into the West’s biggest city. As in the development of democracy in ancient Athens, relationships between multiple groups of people, in which all groups took initiatives and decided policies, engendered a key part of Western culture. Ancient China often saw reality as a unified field in which one political hierarchy rules. But both Athens and Rome were societies of multiple groups, and both cities reinforced a way of seeing reality as partitioned into different fields, which are distinct. This view has other roots too–a culture’s way of seeing is very multidimensional, and this makes cultural studies very cool.